A major retail hub at Cbus Property’s Estate One development in Dandenong South is open for business following a successful leasing campaign. 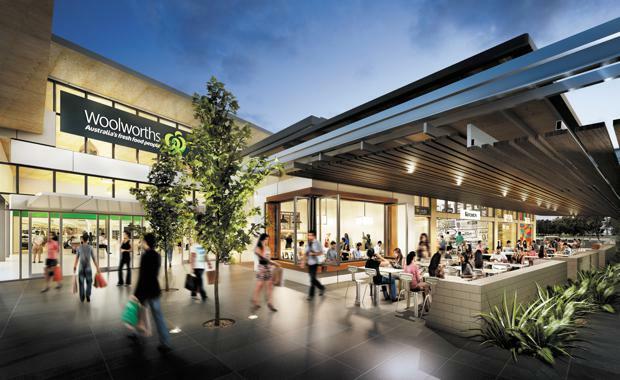 Colliers International’s Mike Crittenden and Bernie Canning, in conjunction with Mitchell Humphreys of JLL, are currently negotiating with final tenants for The Village neighbourhood shopping centre, which is anchored by a 3,800sqm Woolworths supermarket. “Strategically positioned in one of Melbourne’s growth corridors, Estate One in Dandenong South is set to become one of Victoria’s most significant retail and business park destinations,” Mr Crittenden said. “The Village at Estate One comprise a 3,800sqm Woolworths supermarket and approximately 1,420sqm of specialty shops and two kiosks. “The centre, developed by RG Property, and is ideally located, facing north to ensure food tenancies enjoy an enviable northerly aspect all year round immediately adjacent the centre’s major car park. The Village is very accessible via two signalled intersections and will incorporate more than 200 on-grade carparks. “The Village acts as a hub for the wider area, including a future office park,” Mr Crittenden said. RG Property’s Rhett Williams, Portfolio & Development Executive, said The Village was a strong addition to the company’s portfolio. “The centre was built to a high quality and will stand out from the crowd in terms of presentation, functionality and retail offering,” Mr Williams said “The Village will offer the strength of a full line supermarket and the convenience of basement and on-grade car parking. It is the area’s premier retail centre. The Village Shopping Centre opened for trade September this year.